The professional figure of the wedding planner is known in Italy at least since 2001, with the movie release “The Wedding Planner“, wiht the beautiful Jennifer Lopez as a very busy wedding planner… a single one! Although this profession is not born yesterday, the acknowledgement process of the wedding planner still seems to be quite slow in Italy. Few knows exactly her role and function within such a special event. And few are interested in it. She’s frequently seen as something superfluous or addressed as an unnecessary expense. Nothing could be more wrong ! Anyway, if you’ve come this far, it means a spark of curiosity has been lighten in you ! Basically a wedding planner is the one who organizes, plans and administers, together with the couple, a wedding. She follows the couple from the beginning of the organization (generally up to 1 year in advance) until the end of the event itself. Her primary role is to understand the needs and tastes of the couple, suggesting the right vendors and helping them with all the agreements and documents (so boring!). The wedding planner is totally on the side of the couple. A good professional has no interest in promoting a supplier rather than another. She suggests only the ones who meet the needs of the couple. Therefore she’s a constant support and presence for them. She is entrusted not only with the entire organizational process, but also with the coordination of vendors during the wedding. She keeps everything running smoothly, and allows the couple not to feel stressed and crushed by the burdens of the event. Why a wedding planner ? Thanks to an accurate network of vendors, she will save time by directing to the most suited ones, to fit the stylistic choice of the event, accessing their services at discounted rates. 2. Raises the couple from all stress. Relying on a wedding planner means delegating all the anxieties and stress that a wedding involves. Being external to the couple, she knows how to maintain the right detachment and the appropriate lucidity, so that no unexpected event can hinder the success of the event. 3. Provides original ideas tailored for the couple. Each wedding deserves to be unique, unforgettable. A wedding planner knows how to create a special setting that speaks authentically about the spouses, of their love, involving all the guests to enjoy such a great day. A wedding planner is constantly updated about latest trends, to support any couple to avoid a photocopy-wedding. In conclusion, these are just some of the great advantages of having a wedding planner at your side. Not to mention the great help that she can offer to the vendors themselves during the wedding day. At the end, the key for a successful wedding, is harmony and collaboration between vendors! 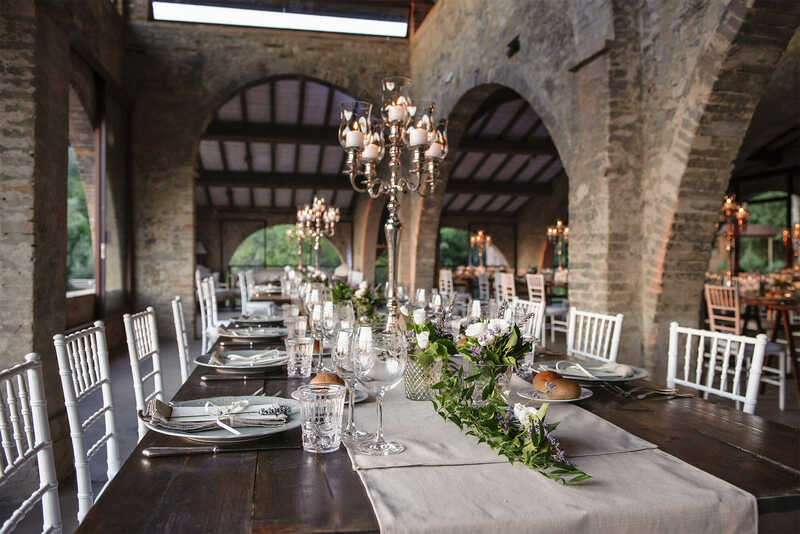 Thanks to Veronica Ferrante, Wedding Planner in Florence, for sharing her tips in this article. Discover more about Veronica and her work, visiting her website.